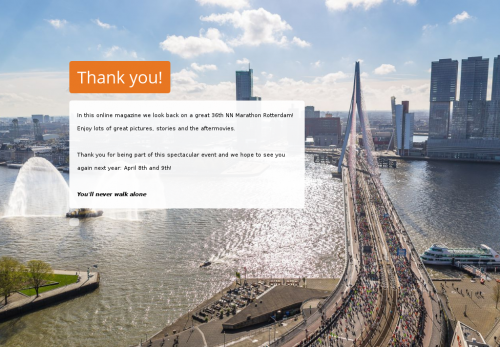 In this online magazine we look back on a great 36th NN Marathon Rotterdam! Enjoy lots of great pictures, stories and the aftermovies. Thank you for being part of this spectacular event and we hope to see you again next year: April 8th and 9th!